Beautiful, wild, layered, busy, utterly gorgeous Marrakech, a place that has undoubtedly seduced everyone who has ever ventured there! 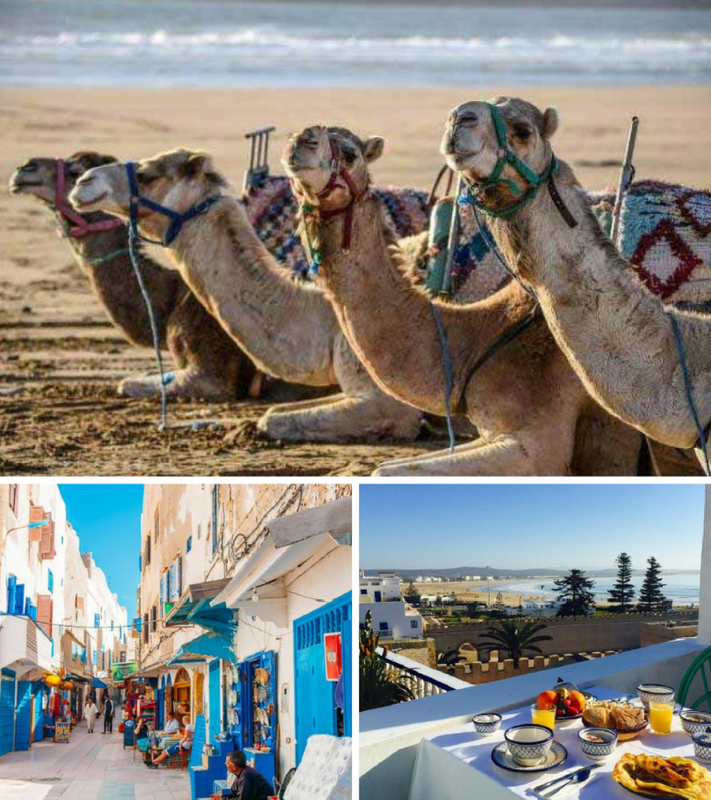 Lying on the crossroads between Europe and Africa, Morocco beckons you to a world where the exotic becomes commonplace. Stylist, designer, writer, curator, creator and visual poet Jo Brittles of La Boheme ~House of The Wishing Trees, invites you to join her on the journey of a lifetime! 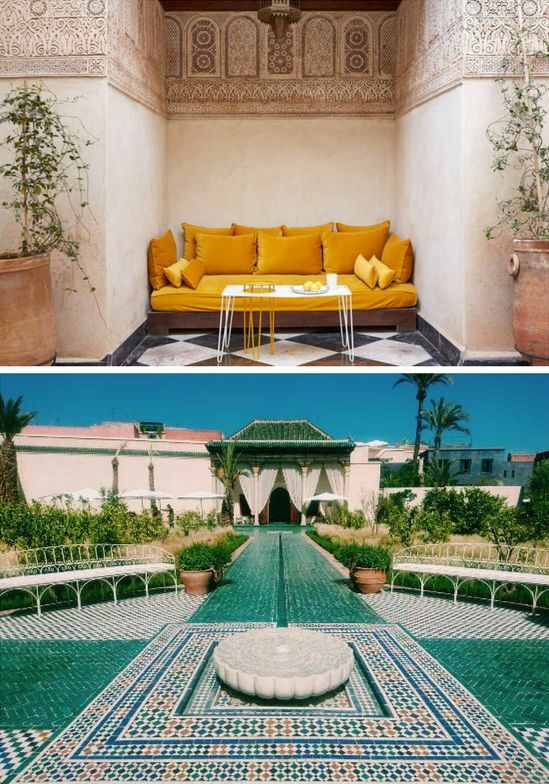 We are headed to Marrakech for a 10-day long retreat of opulent luxury, discovery, decadence and cultural exploration, bursting with immense inspiration - this retreat is tightly limited to just 10 lucky people. As your host, it was a dream to venture to Morocco and see the bustling, intoxicating sites, to immerse myself in the colourful commonplace, to exist amongst the locals and to explore this beautiful city with a full, open and creative spirit. Instead of going alone, I want you to join me on this journey! To see and experience Marrakesh as a group of creative souls, to be inspired by it's immense beauty, to awaken the spirit and enliven the soul. A summit of creatives. A getaway of a lifetime. And I want to share it all with you! BELOW YOU WILL FIND DETAILS OF OUR 2018 RETREAT. 2019 WILL BE DIFFERENT DATES (ALTHOUGH AS SIMILAR AS I CAN GET IT, AS THE WEATHER WAS WONDROUS!) AND THE ITINERARY WILL BE COMPLETELY DIFFERENT. PLEASE REGISTER YOUR INTEREST VIA OUR WEBFORM AND I WILL SEND ALL THOSE WHO HAVE REGISTERED INTEREST THE FULL ITINERARY ONCE DATES ARE LOCKED IN FOR 2019 AND PRIOR TO RELEASING IT LIVE ON THE SITE. NOTE : SPOTS SELL QUICKLY AND SPACES ARE STRICTLY LIMITED. 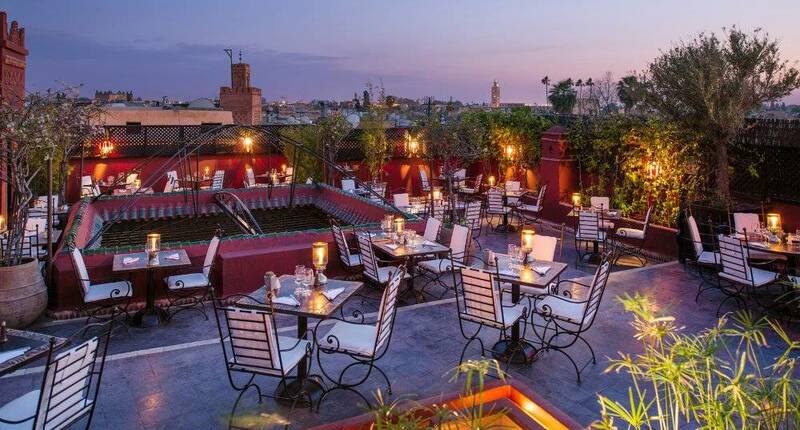 Whilst we will do and see all of these amazing things together, those who choose to accompany me, will have full, unrestricted access to me at all times throughout our stay in Marrakesh. Creatively, professionally and as a woman who knows how to dream big! I will be right with you, exploring and being inspired myself, every step of the way! Costs for any additional tours or excursions you would like to do in your own free time (you will have some allocated free time throughout our stay and you are welcome to do whatever you choose with this time. I will always be available to spend time with the group or individuals, should you choose to venture to the medina with me, dinner, drinks or soulful discussions about all things important in the world over wine! With the help of locals who know Marrakesh incredibly well, I have spent time putting together a truly beautiful, decadent, indulgent adventure for the body, mind and soul. I am a creative, so to have each of my senses stimulated by this incredible city is what I am looking forward to the most! To be immersed in and inspired by the beauty and then, to tuck it all into my heart and bring my experiences with each of you, back here to my home and unload all of that sublime energy into my work. Dinner on the roof terrace at Le Fondouk - part of CNN's 2016 "world's best sky-high and rooftop restaurants", this is THE ideal place to enjoy our first magical dinner! Visit Musee Boucharouite - The medina is filled with hidden gems waiting to be uncovered and this is definitely one of them! Dinner at Dar Zellij (includes belly dancing and music) - this place is simply incredible! Beldi Country Club for a truly indulgent day of lunching/pools/hammam/spa/some shopping. An incredibly magical and rejuvinating place! Day trip to Atlas Mountains - We will be heading to Imlil, a beautiful drive up the mountains where you will see Mount Toubkal, the second largest mountain peak in Africa. Imlil is a typical Berber village with plenty of great shopping. 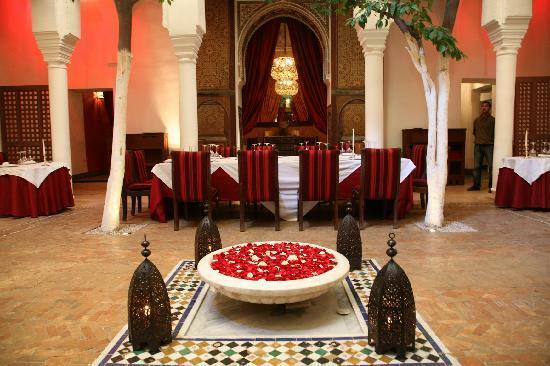 We will be having lunch at the unmistakable Kasbah Toubkal surrounded by the stunning Atlas Mountains. Yes. You can pay an initial payment of 50% using the reservation link below to secure your place. At checkout, use the coupon code 'deposit' to only pay half now. The second and final 50% payment must be made on or before Friday, March 2nd, 2018. There are no refunds for this retreat due to the planning and logistics involved. 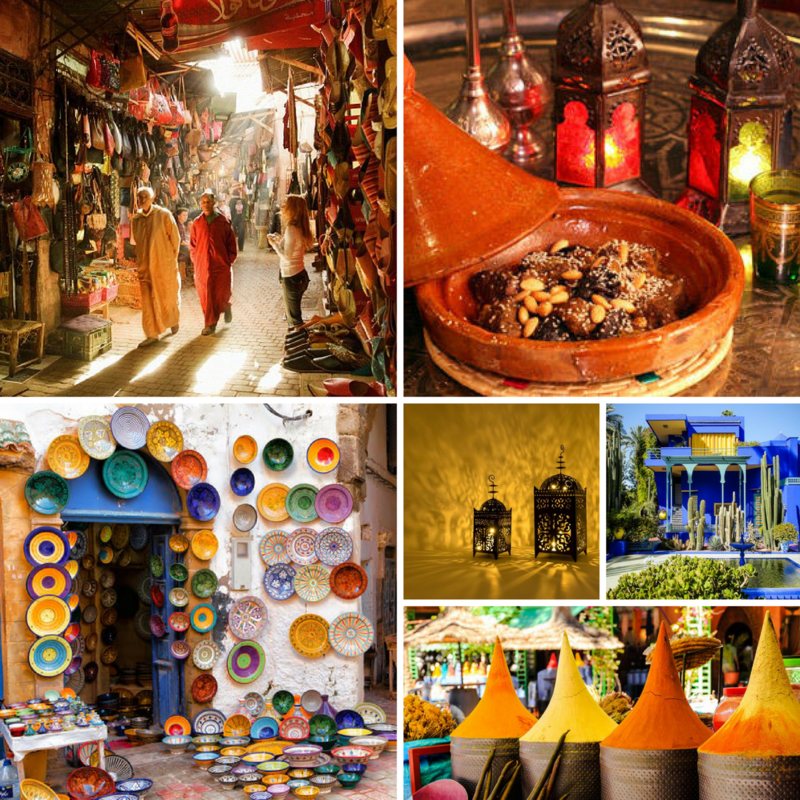 When you register, be sure to know all you can about traveling to Morocco. If you have any questions, please feel free to ask! What is our destination airport? Book your flights to Marrakesh Menara International Airport. We recommend you book your flight time to arrive as close to midday local time as possible, so we can arrange transportation for you. That is totally personal and depends on how much shopping you plan to do. ATM's are available and credit cards are taken at the major retailers. Also keep in mind, that most meals and drinks are covered in the retreat package. We always strive to have some single occupancy rooms available, but book early as they sell very quickly! You can book a private single room at checkout. I've never been to Morocco. Will I like it? I ask you to approach this trip with a sense of adventure in your heart, along with the knowledge that I have prepared the most beautiful, indulgent, decadent, revitilizing and truly inspiring stay for us all. This will be a journey for the mind, body and soul and we will be taking it, together! Always feel free to do some research of your own on places to go and see whilst we're in the beautiful Marrakesh. Spots are limited and this exclusive trip of a lifetime will sell out fast! If you have any questions at all, please don't hesitate to get in touch with me! I can't wait to see who our crew of 10 incredible spirits, taking this journey with me, will be! And I cannot wait to share the sights and sounds of the magnificent Marrakesh with YOU!